Der Löwe ist ein deutscher premium schwerer Panzer der Stufe 8. Die Entwicklung des überschweren 70-Tonnen-Panzers wurde am 1. November 1941 aufgenommen. Krupp schlug im Februar 1942 das fortschrittliche Projekt VK 70.01, später auf den Namen Löwe getauft, vor. Verschiedene Designs unterschiedlicher Konfiguration, Bewaffnung und Panzerung wurden entworfen. Das Projekt wurde jedoch verworfen, da der Führer entschied, noch schwerere Panzer entwickeln zu lassen. Es wurden keine Prototypen gebaut. Designed for sniping, the Löwe is armed with the very accurate 10.5 cm KwK46 L/70, and is paired with a rather decent hull. While not quite as heavily armored as the Pz.Kpfw. 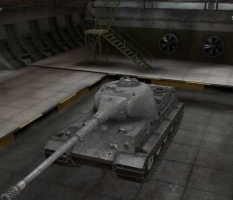 Tiger II, it's sufficient to protect it from tier 7 guns. The turret however is heavily sloped allowing it to bounce even high tier guns . 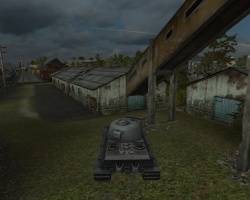 The performance of this tank is quite good for its tier, provided that it does not engage in close quarter combat, which is almost certain death for this tank. It has poor acceleration, so any reversal in direction will take some time. 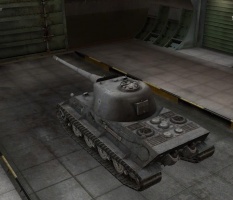 As a premium tank, it produces a significantly higher credit income than a typical tier 8 tank. 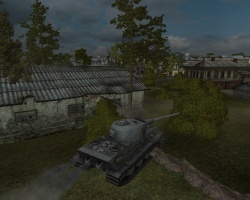 The Löwe was added in the 0.6.4. patch, along with the KV-5 heavy tank. 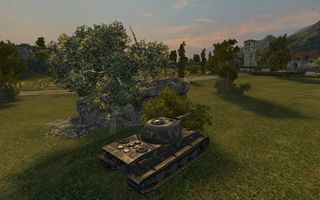 One of the most well-known premium tanks in World of Tanks, the "Lion" is first and foremost a support tank. 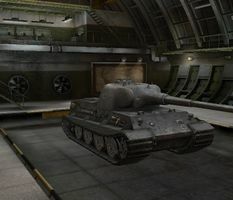 Its sluggish mobility and thin armor, coupled with a slow rate of fire and average alpha damage for its tier mean it won't survive a close range brawl, where multiple enemies will easily be able to overwhelm the sluggish Löwe. The tank excels as a sniper, and should keep at long-mid range when fighting, supporting advancing allies with its accurate 10,5cm cannon. When top tier, so long as caution is taken into consideration, the Löwe can also help lead a push along with other heavy tanks, though, for the sake of survivability, it is always better to let allies more suited for brawling to the front, and support them from behind. Try not to feel brave and venture forward alone, as the slow rate of fire and poor mobility won't allow the Löwe to react in time against immediate threats. As soon as you have to deal with any sort of close quarters situation you're odds of providing any meaningful contribution flush down the toilet. With 320 Alpha damage and 1600 DPM you will hardly outplay anyone. Enemies will typically beat you in one of these aspects. 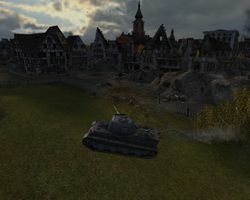 To add insult to injury IS-3A and IS-6, which you will commonly face as equal tier opponents, beat you both in Alpha damage (390) and DPM (2000). They can trade 320 for 390 of your health and deliver a second shot before you are reloaded. Factor in the current map design and you should get an idea of how well the Löwe fares compared to these two examples. Due to the tank's large size, subpar armor and poor camouflage values, you'll be easily spotted. Thus, plentiful use of cover is recommended, especially if said cover allows for hull-down or sidescraping, thus keeping your gun in play longer. Despite its shortcomings, the Löwe can be deadly if properly handled, and is a great credit maker. The development of super heavy tank started as early as 1941, when Krupp started the studies of super-heavy Soviet tanks. 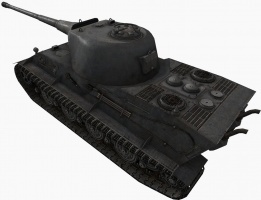 In November of 1941, it was specified that the new heavy tank was to have 140mm front and 100mm thick side armor. The vehicle was to be operated by 5 men crew - 3 in the turret and 2 in the hull. This new panzer was to have maximum speed of some 44km/h being powered by 1000hp Daimler-Benz marine engine used in Schnellboot (torpedo boat). The main armament was to be mounted in the turret. The weight was to be up to 90 tons. In the early months of 1942, Krupp was ordered to start the process of designing new heavy tank designated PzKpfw VII Lowe (VK7201). Its design was based on previous project by Krupp designated VK7001 (Tiger-Maus) and created in competition with Porsche's designs (including first Maus designs). 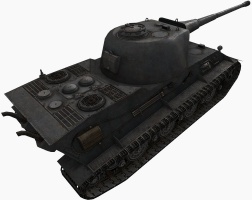 VK7001 was to be armed with either 150mm Kanone L/37 (or L/40) or 105mm KwK L/70 gun. Lowe was to utilize Tiger II's components in order to simplify the production and service. Designers planned to build two variants of this streamlined vehicle with rear mounted turret. 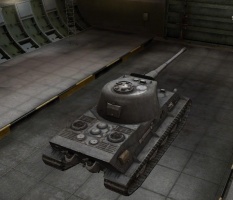 Light (leichte) variant would have frontal armor protection of 100mm and it would weight 76 tons. Heavy (schwere) variant would have frontal armor protection of 120mm and it would weight 90 tons. Both variants would be armed with 105mm L/70 gun and coaxial machine gun. It is known that 90ton schwere Lowe was to have its turret mounted centrally and in overall design resembled future Tiger II. Variants of Lowe were both to be operated by the crew of five. It was calculated that their maximum speed would range from 23km/h (schwere) to 27km/h (leichte). Adolf Hitler ordered that the design Leichte Lowe was to be dropped in favour of Schwere Lowe. Lion was to be redesigned in order to carry 150mm L/40 or 150mm L/37 (probably 150mm KwK 44 L/38) gun and its frontal armor protection was to be changed to 140mm. In order to improve its performance, 900-1000mm wide tracks were to be used and top speed was to be increased to 30km/h. In late 1942, this project was cancelled in favour of the development of the Maus. During the development of Tiger II, designers planned to build redesigned version of Lowe (as suggested by Oberst Fichtner), which would be armed with 88mm KwK L/71 gun and its frontal armor protection would be 140mm (as planned before). Redesigned Lowe would be able to travel at maximum speed of 35km/h and it would weight 90 tons. It was to be powered by Maybach HL 230 P 30, 12-cylinder engine producing 800hp. Lowe would be 7.74 meters long (with the gun), 3.83 meters wide and 3.08 meters high. Lowe would be operated by the crew of five. It was planned that Lowe would eventually replace Tiger II. From February to May of 1942, six different designs were considered, all based on the requirements for Lowe. On March 5/6th of 1942, order for heavier tank was placed and project Lowe was stopped in July of 1942. Lowe project never reached the prototype stage but it paved the way for its successor's development - Porsche's Maus.